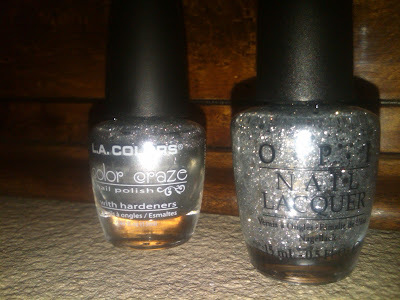 The Times New Roman: Nail Polish of the Moment: OPI Crown Me Already! with A Little Help From a Cheapie! 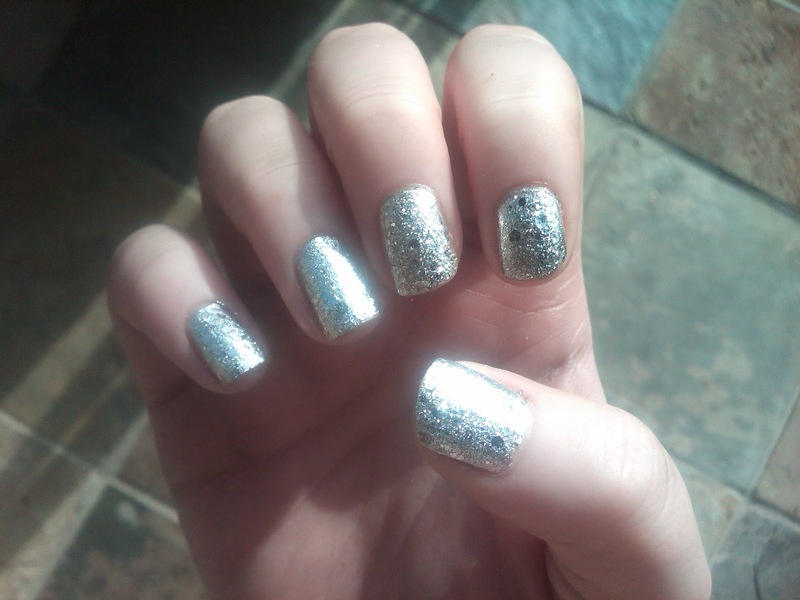 Nail Polish of the Moment: OPI Crown Me Already! with A Little Help From a Cheapie! OPI "Crown Me Already!" over LA Colors Color Craze "Live". Natural Light (no flash). OPI "Crown Me Already!" over LA Colors Color Craze "Live". Natural Light with Flash. I love this pairing for winter! I have a holiday party tomorrow at an ice skating rink. I thought these two polishes would be perfect! I used LA Colors Color Craze in Live (a metallic silver foil, $1 and amazing... definitely one of my favorite polishes in my collection) as a base and put OPI's Crown Me Already! 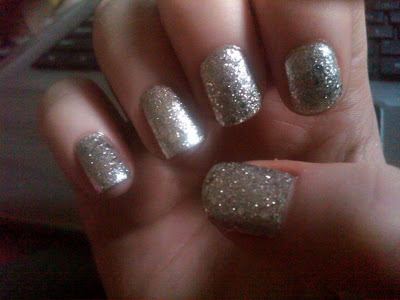 (silver glitter and sparkles) on top. To help seal the glitter and protect the polish, I also used a clear top coat (Sally Hansen Complete Salon Manicure in Clear'd For Takeoff). The two polishes are the exact same color. I can't tell where one ends and the other begins! Both "Live" and "Crown Me Already" make a beautiful look on their own but I wanted to kick it up a notch. Even in dim lighting, these colors make a statement. I think it would be wonderful for young girls, teens, twenty-somethings or those that are young at heart. It reminds me of a mirrored disco ball or an ornament. It would be fabulous for New Year's Eve, birthdays or any time of the year when you just want to feel a bit fun! I've used Live as a pedicure color for a formal event and it looked pretty cool as well. Love these! LA Colors Color Craze "Live". OPI "Crown Me Already! ".